Gregory (Greg) Wood was born in southern Michigan in 1948 and spent his entire youth there. He is a graduate of the University of Notre Dame (1970), having majored in Modern Languages (French). One of the highlights of his undergraduate days is his Sophomore Year Abroad at the Université Catholique de l’Ouest, in Angers, France, and experiencing there the crisis of May 1968. To this day, his best alumni friends are those who were a part of that program. Greg met his future wife, Lynn, in 1970, when both were M. A. T. candidates at the Johns Hopkins University, in Baltimore. Since 1971 until the present, both have resided in Maryland suburbs of Washington, DC. Greg was involved in foreign language instruction for 40 years (37.5 at an independent Catholic high school), and for the last six years has served as archivist at his former school. Greg and Lynn’s only daughter is a meteorologist, and they are proud grandparents of three (soon to be four) grandchildren. On Greg’s maternal grandfather’s side of the family are Acadiens du Québec, descendants of Pierre Morin dit Boucher, an engagé who arrived in Port-Royal around 1655, married Marie Martin, re-settled in Beaubassin in the 1670s, and then moved to Restigouche, a Mi’kmaq trading post near Campbellton, Quebec, in 1688. Some of his children were involving in the fishing industry in the Gaspésie before moving just east of Québec City. The Morins were among the first settlers in St-Pierre and St-François de Montmagny in the 1720s. In Quebec, they joined a growing diaspora of Acadians. As land and employment opportunities became scarce in rural Quebec in the mid-nineteenth century, the Morins moved westward to Disraeli, Sherbrooke, St-Lin-des-Laurentides, and Montreal. Greg’s great grandfather Thomas Morin chose railroading as a teenager, and as a young man in his twenties, emigrated to Missouri with his family in 1881 to continue his career as a railroad engineer. By the time that Thomas and his sons completed their long association with railroads, they could proudly count 347 years of service on the rails. While at Notre Dame, Greg developed an enthusiasm for history. Since the early 1970s, he has researched the French influences in his adopted state. In 1975, he was awarded a grant from the state Bicentennial Commission to write a book on his exploration, and, in 1978, there appeared The French Presence in Maryland, 1524-1800. Because of that book and Maryland’s participation in the deportation aftermath, a whole new world was opened for him to the story of the Acadians and their exile on the East Coast. And it might be added that the Washington/Maryland/Virginia region where Greg and Lynn reside was a hotbed for Cajun musicians from the 1970s to well into the first decade of this century because of the strong support and investment of the Smithsonian Institution, the Wolf Trap National Park for the Performing Arts, and private music clubs. 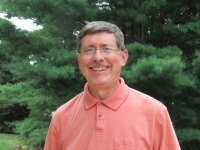 For a few years, Greg was able to talk to state and civic groups about the French in Maryland, and, in 1983 he was in the first group of national educators to be awarded an NEH/Council of Basic Education summer fellowship. His two-week summer work in France was facilitated by the French embassy, and then he came to Lafayette to spend a week with Drs. Glen Conrad and Carl Brasseaux, and then traveled to Moncton, New Brunswick, for research at the university’s Centre d’Études acadiennes. Annual research visits to Lafayette continued for many years. It took a while thereafter to write a well-reviewed second book, his Acadians in Maryland in the Eighteenth and Nineteenth Centuries (1995). Greg also compiled, wrote, and produced a personal and historical study of his Morin ancestors a decade ago. Now, twenty-some years later, he is working on a second volume to the 1995 work, focusing not only on the Acadian survival and flourishing in Baltimore, but on their interactions with Saint-Domingue refugees, revolution émigrés, the French Sulpician seminary community established in 1791, and the greater Baltimore community of the 19th century. In spite of Acadian integration into Baltimore society and an eventual loss of most surnames, Acadians and their descendants had and continue to have an influence in the city. Like the first volume, this new work will have a historical narrative, updates, many compilations, and much more genealogical material. Greg and Lynn have been fortunate to participate in all the Congrès Acadien Mondial events over the years (except 1994) and in the two Grand Réveil celebrations here in southwestern Louisiana. In 2014, Greg contributed essays in English and in French in 2014 to the formidable Perrin/Comeau anthology, Acadie: Then and Now. He is proud of Maryland’s influence on early Louisiana. In recent years, Greg has partnered with Marty Guidry and Marie Rundquist to create a website on Acadian-based sites in Maryland (www.acadianswerehere.org). That work was just acknowledged this past February with a Maryland Preservation Award (Excellence in Media and Publications) by the Maryland Historical Trust.